Yesterday, I spent 20 minutes of beauty time just prepping my face. 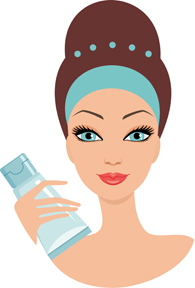 The order of cosmetics: Serum, eye cream, moisturizer sunscreen, pore-minimizer, primer, foundation, concealer. Eight layers of products to take up time and clog the skin. Today, I headed out in the hunt of the “new” BB creams that promise to simplify your makeup into one simple step. Sounds too good to be true? Well! Sometimes miracles happen and BBs are one of them. After today’s shopping spree, I can vouch for that! So, what exactly are BBs? This multi-tasking cream is differently referred to as Beauty Balm, Blemish Base, Beblesh Balm or Blemish Balm and it’s aim is to combine several different skincare and makeup steps into one product, thereby saving time, space, money – and probably your skin! How did they originate? BBs go back to Germany in the 1950s, when Dr. Christine Schrammek created a healing skin salve for her post-peel and laser surgery patients. The idea was to soothe the skin, camouflage splotchy or inflamed patches and create a shield against the sun. BBs became a big hit in the Asian (specially Japanese and Korean) markets, thanks to drop-dead gorgeous Korean actress Song Hye Kyo singing their praises. Today, suddenly, they are all over the world. What do they do? BBs can do any or all of the following, depending on which one you choose: Hydrate, nourish, fight acne, prevent premature ageing, brighten, smooth skin texture, cover blemishes, even out skin tone, banish fine lines and wrinkles, add luminosity, protect against UVA/UVB rays… in short, they are the Swiss Army knives of the beauty industry. Are they the same as tinted moisturizers Definitely not. In fact, they fall into the category of cosmeceuticals, which combine makeup with serious skincare. That’s because BBs are often packed with potent skin ingredients like collagen-boosting peptides and pigment-busters. They also contain silicones, which are used in primers to make your skin seem smooth and refined. How to use them? They tend to go on quite easily – no sponge, brush or massive blending required. Simply emulsify in the palm of your hands and massage into your skin in small circles. How do they measure up? I tried the Maybelline BB and it felt quite nice – neither too dry nor too heavy. It spread and blended very easily, almost like a tinted moisturizer The finish was dewy (which might not work well for very oily complexions) and my skin looks hydrated. Coverage was enough to even out the lighter freckles and unify my complexion but it’s not enough to completely hide away major blemishes (as evidenced by the monster on my skin). Skin also looked brighter and I did not need an illuminator. So, are they worth it? Well! I am definitely not ditching my regular serum and moisturizer But I like the included SPF, coverage level and ease of application. The BB is sure to become my go-to product for daily day-wear on-the-go touch-ups and travelling. It’s also a good nighttime or party option for those who want a light product or don’t have any significant coverage or blemish issues. However, I would definitely need a heavier foundation and concealer to tackle these. WOW I had always thought of BB creams as tinted moisturizer.... I'm ready to give them a shot now. Thank you!! love it. I'm so low maintenance and get overwhelmed when in the make-up section so this "Swiss Army knives of the beauty industry" is something I'm totally going to purchase for a more refreshed look. I always enjoy your posts. Thanks for linking up to Empowered Living Tuesday hop, I hope to see you again.